Women (n = 15) who were pregnant after a traumatic late pregnancy loss (termination because of fetal death or serious anomalies) completed psychometric screening tests and scales, including the Perinatal Grief Scale (PGS), the Impact of Event Scale (IES), the Duke Depression Inventory (DDI), the Generalized Anxiety Disorder-7 (GAD), and the Hoge Scale for Intrinsic Religiosity (IR). Despite a mean elapsed time since the prior loss of 27 (range, 7–47) months, half (7/15, 47%) of the combined groups had high levels of grief on the PGS. Multiple positive scores on psychometric tests were frequent: Sixty percent (9/15) had high scores on the PGS Active Grief subscale or on the IES. Forty percent (6/15) had a high score on the DDI, and 17% (3/15) on the GAD. IR scores significantly and negatively correlated with scores on the Despair subscale of the PGS. The results from this pilot study suggest that high levels of grief and PTS symptoms are significant problems for pregnant women who have suffered late loss of a wanted pregnancy. 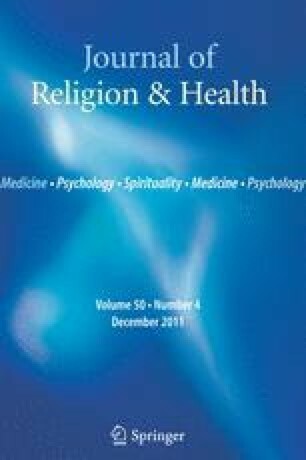 Religiosity may play an important part in maternal coping during these stressful pregnancies. This work was supported in part by a grant from the John Templeton Foundation to the Center for Spirituality, Theology and Health of Duke University Medical Center. Thanks are due to Amanda Anderson, RN of the Maternal Fetal Medicine Division for identification of patients eligible for the study and to Kathleen Peindl, PhD from the Dept. of Psychiatry and Human Behavior for editorial assistance—both from Duke University Medical Center.